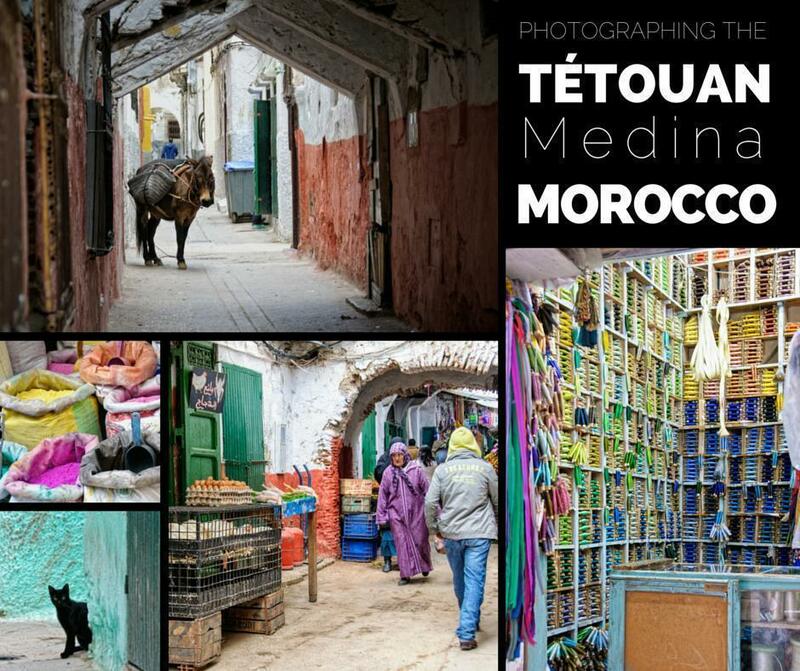 The UNESCO-listed Tétouan Medina, in Morocco, offers great photography opportunities. 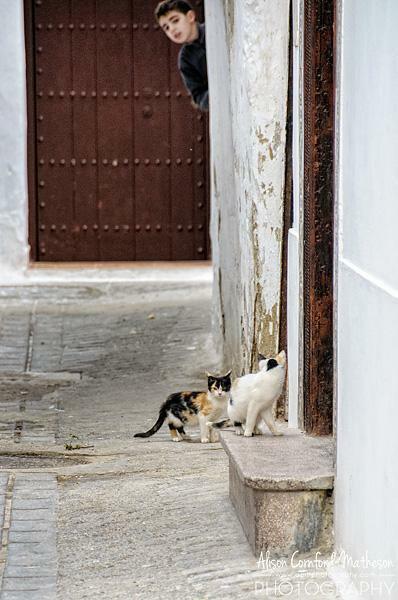 We share our favourite photos from the colourful old town. 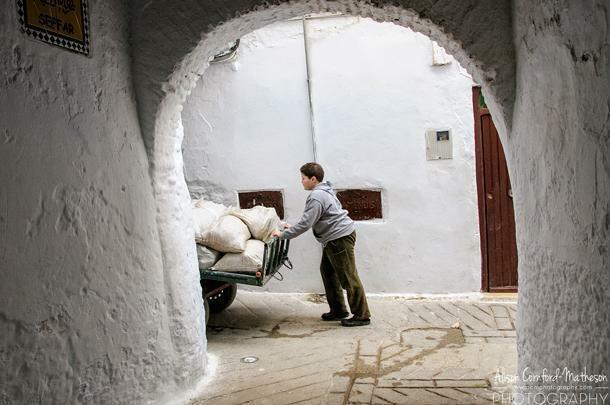 We’ve been pretty open about how challenging our month in Morocco was, last winter. However, now that I’ve finally edited my photos, there’s no denying the photographic opportunities it presented. No place had my shutter clicking more than the Medina of Tétouan. 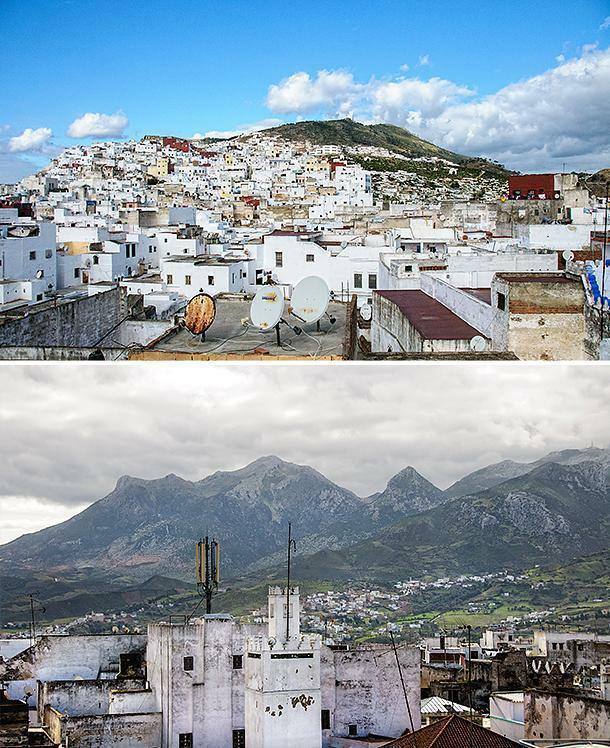 Tétouan’s Medina (or old town) is a UNESCO World Heritage site, recognised because it remains relatively untouched by outside influence. 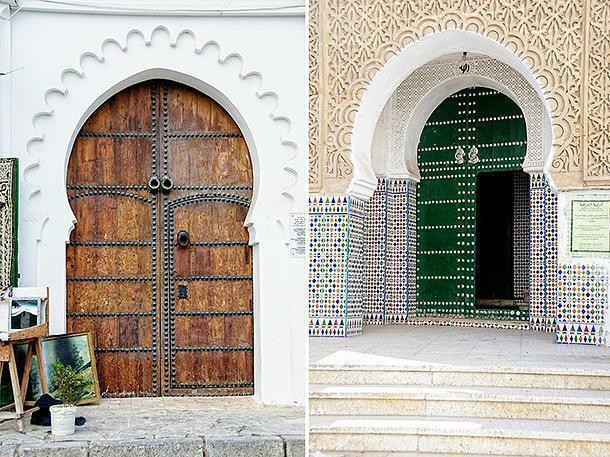 Tétouan was a melting pot of Spanish Andalusian and Moroccan culture, which is evident in the architecture throughout the Medina. 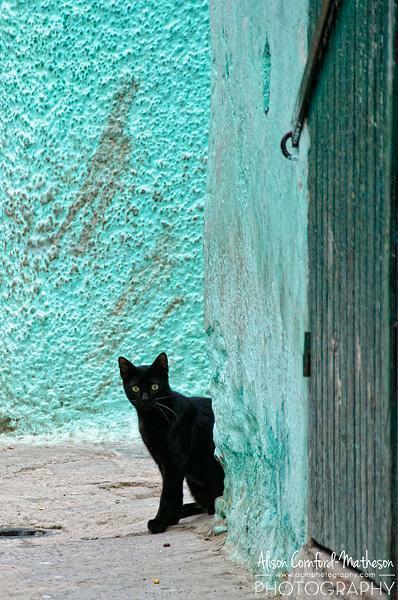 The narrow streets and tiny storefronts explode with colour. Virtually everything is for sale here, and much of it is still made by hand. Below I share my favourite photos of this fascinating area. We stopped for lunch at a pretty Riad in the centre. The young owner gave us a tour of the property, including the rooftop terrace. It offered us a great overview of the Medina, huddled under the mountains. 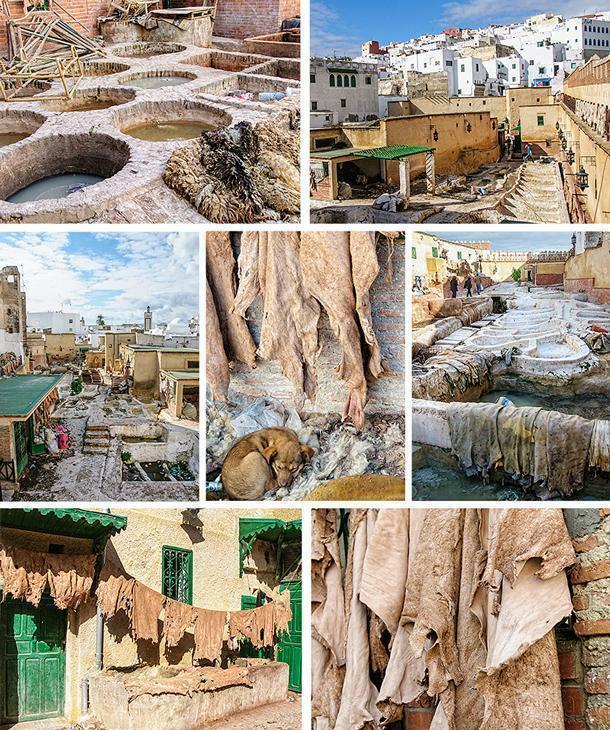 Long before you see it, you can smell Tétouan’s tannery. 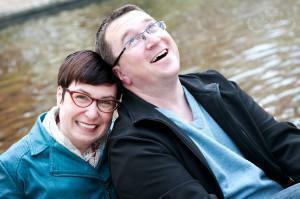 As much as we were warned, we still weren’t prepared for the dizzying stench. As horrible as the conditions are, the tannery is a tourist hotspot and the handcrafted leather goods sold nearby are a popular souvenir. 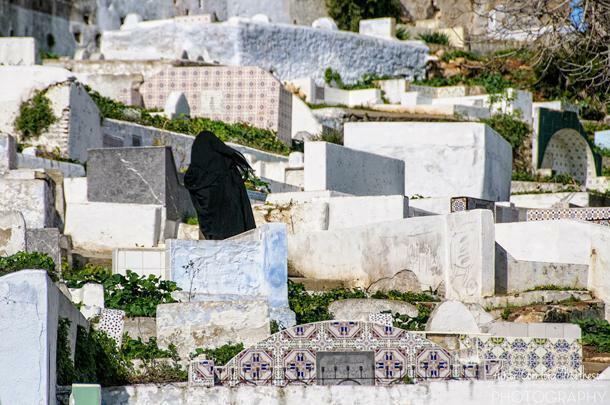 Just outside the tannery is the main cemetery of Tétouan. With plenty of white plaster and brightly coloured tiles, it was much less sombre than the typical Western cemetery. There were a number of people using it as a quiet place to relax and enjoy some afternoon shade, not to mention plenty of cats. 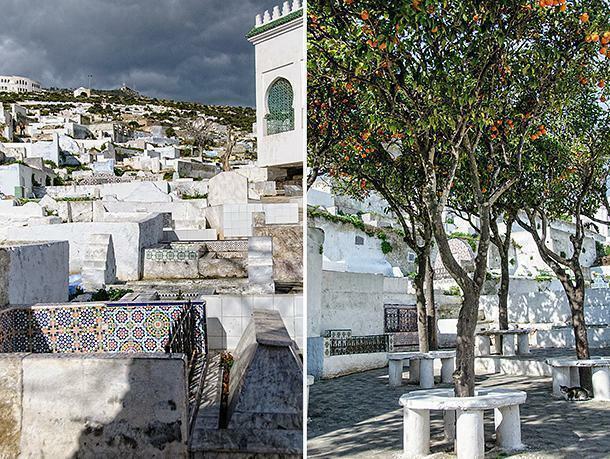 The Tetouan Cemetery is as colourful and erratic as the Medina. 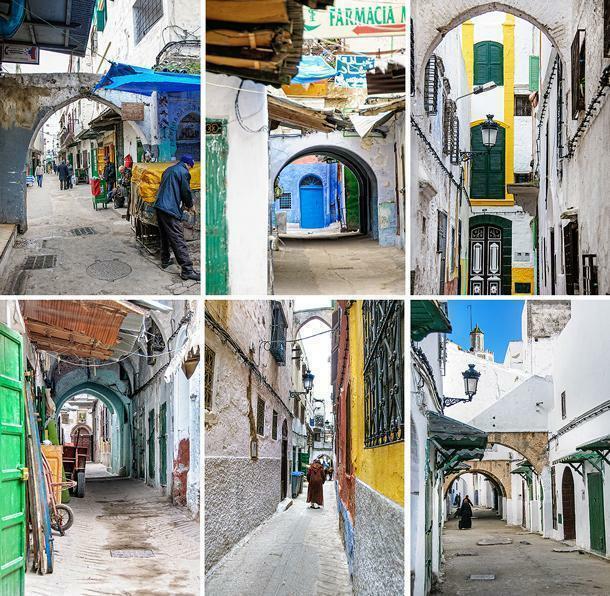 The Tétouan Medina is a warren of narrow alleys, many of them topped with arches. The arches make a great natural frame for photos. All I had to do was set up the shot and, before long, something (or someone) would appear to fill the frame. 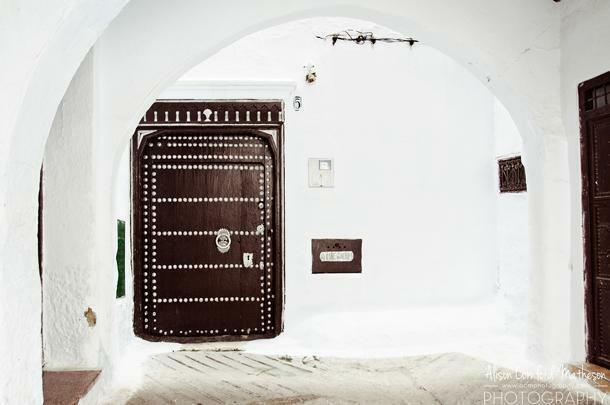 I have a thing for photographing doors. 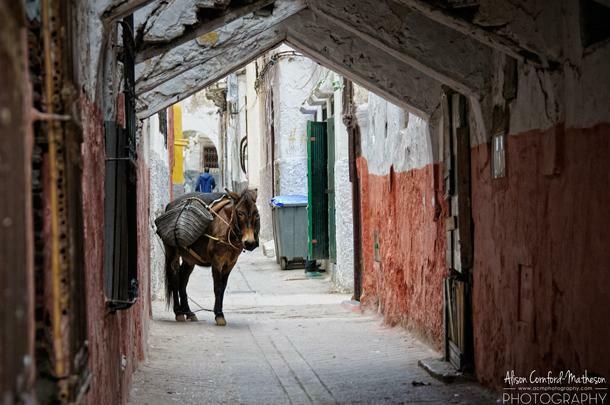 There were a few great ones in the Tétouan Medina. Don’t they make you wonder what’s behind them? 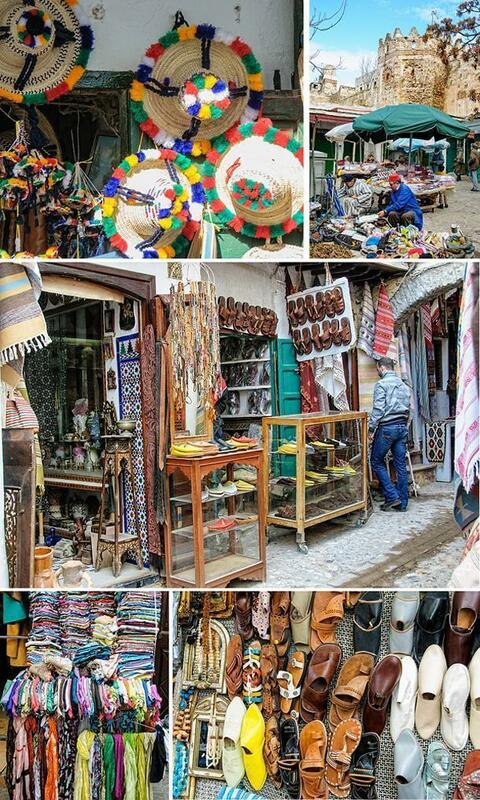 The Medina is, above all, a marketplace and you can find just about everything imaginable for sale here. 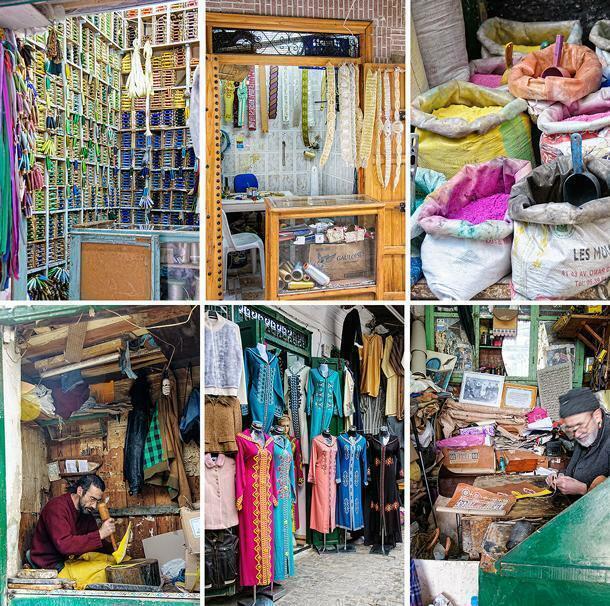 The shops are tiny, some barely bigger than the shopkeeper, and are often highly specialised. Many double as workshops for the artisans who make handmade items, from leather goods to clothing. 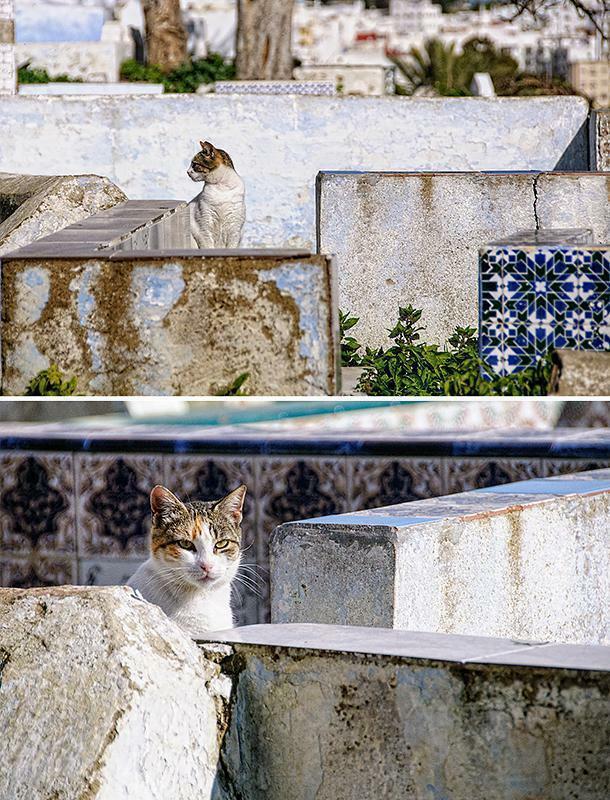 The Tétouan Medina offers shelter and food to hungry kitties, and the majority of the cats we saw seemed well cared for and well fed. 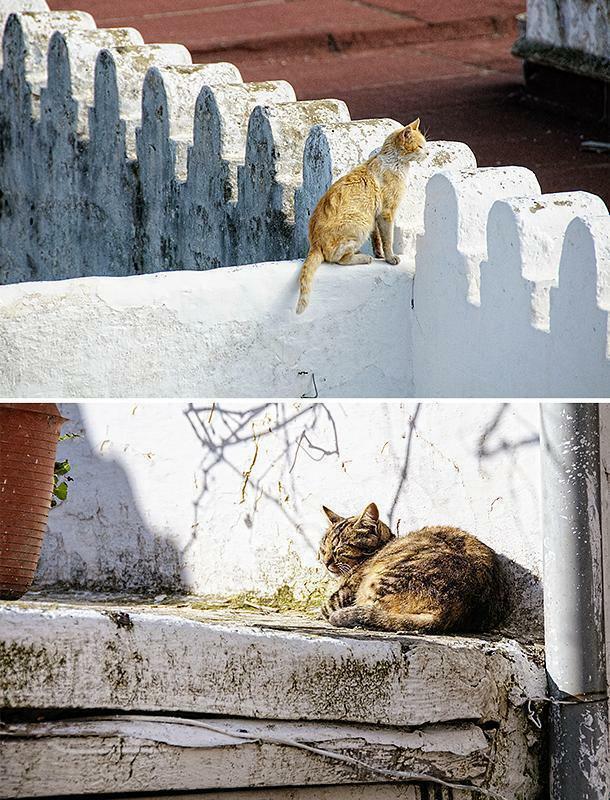 Beyond the cats we saw lounging in the cemetery, there were plenty of cats within the medina walls. 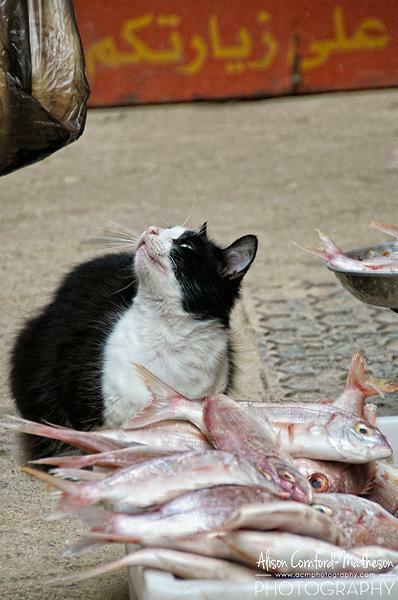 We admired the patience of this kitty at the fish seller’s stall. Obviously, he was well fed. 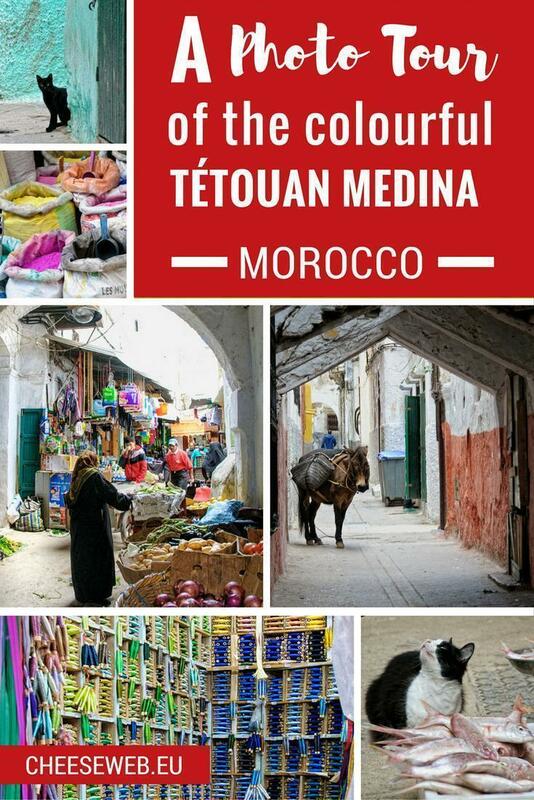 Our day in the Tétouan Medina was one of our favourites in Morocco. It was a fun photographic challenge and one of the more relaxed places we visited in this challenging country.